Britain and Russia don't have the best of International relationships right now and reports indicate that Russia's military have the capacity and strength to walk over NATO's forces in the event of an agression. 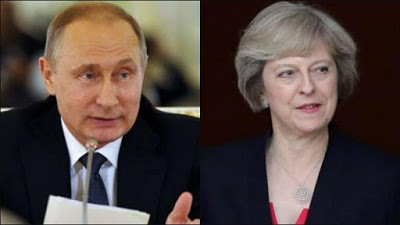 Dr Andrew Foxall, director of Russian studies at influential think-tank The Henry Jackson Society told Daily Star Online: "As things stand, the UK is ill-equipped to deal with Russia. "There is an urgent need to strengthen not only the UK’s defences, but those of NATO members as a whole. "The alliance simply isn’t doing enough to build up the range of capabilities necessary to deter an aggressive and resurgent Russia." Dr Foxall believes that the West's shift to focus on terrorism and conflicts in the Middle East over recent years has meant our traditional military capabilities have suffered. He added: "For almost two decades, the UK, with its NATO partners, has focused on counterinsurgency warfare. "The military has been up against lightly armed insurgent forces, rather than conventional state-on-state warfare. "This very different form of war has introduced logistics systems, training, exercises, equipment, and priorities quite different from those required to respond to a Russian threat." Russian forays in Georgia, Ukraine and now Syria have proved that they could decide to provocate UK by foraying into British territory too, Dr Foxall says. "Russia’s Air Force bombers are frequently intercepted by RAF jets in close proximity of UK airspace. "Russia’s warships often sail near British waters. "And Russia’s submarines have attempted to record the ‘acoustic signature’ made by the Vanguard submarines that carry Trident nuclear missiles." "More alarmingly, in 2008, a Russian Tu-160 “Blackjack” bomber carried out a dummy nuclear attack on northern England", he said. "Flying towards Hull, the bomber came within 20 miles of British airspace before turning away. 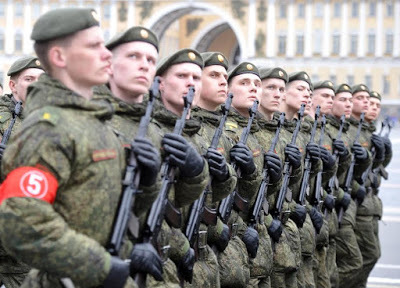 "While the chances of war between Russia and the UK seem rather low, it remains a possibility Russia will prepare for it – and Moscow has been doing so for some time."